Cite this article as: Tsutsui K, Nemoto M. A Case Report of Fibromyalgia. Ann Clin Case Rep. 2016; 1: 1176. Fibromyalgia (FM) is a common systemic disorder characterized by widespread musculoskeletal pain. We report two cases of FM: case one was a 50-year-old woman and case two was a 28 yearold woman. Both suffered from total body pain and mental disorders such as sleeplessness and depression. Combination therapy with pregabalin and duloxetine improved their pain symptoms within two years. Non-pharmacological therapies, including aerobic exercise and psychological counseling, were also effective. The management of FM requires a combination of multiple approaches. Fibromyalgia (FM) is a common systemic disorder characterized by widespread musculoskeletal pain and a generalized reduction in pain threshold. The introduction of the American College of Rheumatology (ACR) FM classification criteria in 1990 has resulted in increasing recognition of the syndrome. The prevalence of FM in the United States is estimated to be 2-4%, of which approximately 80% are women between the ages of 20 and 60 years [1-4]. FM affects about 3% of women attending outpatient clinics in Japan; however, the recognition of this disease remains low in Japan. FM causes a marked reduction in patients’ quality of life. Prompt diagnosis as well as appropriate treatment depending on the condition of the patients is needed. The patient was a 50-year-old female who was diagnosed with total body pain and sleeplessness in 2014. She presented to our clinic and was treated with NSAIDs (celecoxib 200 mg/day) and eperisone hydrochloride (150 mg/day); however, the pain caused difficulty in walking. Her medical history included epilepsy in childhood, hypertension, and sleeplessness. She had a widespread pain index (WPI) of 13 and a symptom severity (SS) scale score of 6 (Figure 1A). Laboratory tests did not reveal any evidence of rheumatoid arthritis or collagen disease (Table 1). She was diagnosed with FM and was started on 150 mg/day of pregabalin. Her pregabalin dose was increased to 450 mg/day, but was later reduced to 250 mg/day because she experienced dizziness and sense of floating. Her symptoms improved when duloxetine was added (Figure 2A). Her pregabalin dose was gradually tapered off, and she is now symptom-free. The patient was a 28-year-old female who presented to our clinic with back pain and depression in 2015. She was treated with NSAIDs (celecoxib 200 mg/day) and eperisone hydrochloride (150 mg/day), but the persistent pain limited mobility. 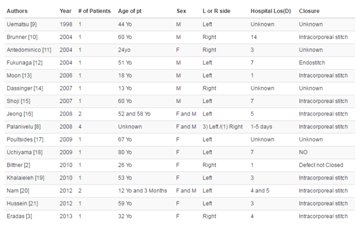 She had a medical history of epilepsy from 15 to 23 years of age, a WPI of 16, and SS scale score of 22 (Figure 1B). Laboratory tests did not reveal any evidence of rheumatoid arthritis or collagen disease (Table 1). She was diagnosed with FM and was started on 150 mg/day of pregabalin. Her pregabalin dose was increased to 175 mg/day, but because of the resulting dizziness, this was reduced to 150 mg/day. Her symptoms improved when she was started on duloxetine (Figure 2B). At the same time, she received psychological counseling at our hospital. Her symptoms improved and the pregabalin dose was gradually tapered off. Table 1: Laboratory examination of patients. (A) Case one. (B) Case two. Tender points () of the patients. (A) Case One. (B) Case Two. Visual analog scale (VAS) of pain and time course of patients. FM is a chronic musculoskeletal disorder of unknown etiology. It is characterized by chronic wide spread pain and muscle tenderness, as well as the presence of tender points on examination. The diagnosis of FM is made when the patient fulfills the ACR 1990 Criteria. The first criterion includes pain for at least three months involving the upper and lower body, right and left sides, as well as axial skeleton. The second criterion requires the presence of tender points in at least 11 of 18 sites on digital palpation, when about 4 kg per unit area of force is applied. These criteria were later modified into a self-reported questionnaire (Fibromyalgia Survey Questionnaire, FSQ) for assessing patient symptoms. The two cases we described had widespread points of tenderness (fingers and toes) over 18 sites over more than three months, which fitted the FM diagnostic criteria . FM is often accompanied by various psychotic symptoms. Patients experience various kinds of central neuropathic conditions such as sleeplessness and depression in addition to chronic pain. Abnormalities have been identified at various levels in the peripheral, central, and sympathetic nervous systems, as well as the hypothalamus-pituitary-adrenal axis stress response system . As the rate-limiting step in neurosteroid synthesis, translocator proteins (TSPO) play a key role in modulating synaptic transmission . TSPO gene polymorphisms (rs6971) have been found to affect pain severity in FM. A recent study also found that FM coexists with mood disorders in families . However, while our patients had sleeplessness and mental disorders, they did not have a family history of these conditions. In addition, although both cases had a medical history of epilepsy, an association between FM and epilepsy has not been previously reported. The United States Food and Drug Administration (FDA) first approved the use of alpha-2-delta ligands such as pregabalin for treating FM in 2007. A meta-analysis showed that 150 mg/ day of pregabalin was generally ineffective in treating FM, and that higher doses (300, 450 or 600 mg) were required . However, most patients discontinue pregabalin because they experience side effects such as somnolence and dizziness, which become more common at higher doses. Antidepressant such as serotonin-no repinephrine reuptake inhibitors (SNRIs) are also effective in relieving the symptoms of FM. Duloxetine, an SNRI, has been approved for the treatment of peripheral neuropathic pain, depression, and generalized anxiety disorder. The recommended daily dose of duloxetine is 60 mg. Combined therapy with pregabalin and duloxetine has been proven to be more effective than either medication used alone . The addition of duloxetine relieved the pain experienced by our patients, perhaps because of its antidepressant effects. Empirical evidence also suggests that gabapentin is effective in patients with morning stiffness and pain, and clonazepam is effective in patients with muscle stiffness and pain. Non-pharmacological treatments modalities have been recommended in the treatment of FM. Examples include aerobic exercise, physical therapy, cognitive behavioral therapy, massage, and acupuncture. In the cases we described, our patients practiced stretching therapy while on a tapering dose of pregabalin. Warming, increasing the body temperature is reported to be effective for FM, but this was ineffective in the cases we described. Symptoms of FM reportedly improve within two years in approximately 90% of cases. This was true for our patients. FM is a clinical diagnosis without remarkable laboratory findings. Effective treatment of this condition requires a combination of longterm pain control and life support such as psychological care. We report two cases of FM that were successfully treated by combination therapy with pregabalin and duloxetine. Nonpharmacological therapies were also effective in symptom relief. A multidisciplinary approach is required to treat FM effectively. Hudson JI, Pope HG Jr. The relationship between fibromyalgia and major depressive disorder. Rheum Dis Clin North Am. 1996; 22: 285-303. Wolfe F, Smythe HA, Yunus MB, Bennett RM, Bombardier C, Goldenberg DL, et al. The American College of Rheumatology 1990 Criteria for the Classification of Fibromyalgia. Report of the Multicenter Criteria Committee. Arthritis Rheum. 1990; 33: 160-172. Mease P. Fibromyalgia syndrome: review of clinical presentation, pathogenesis, outcome measures, and treatment. J Rheumatol Suppl. 2005; 75: 6-21. Wolfe F, Ross K, Anderson J, Russell IJ, Hebert L. The prevalence and characteristics of fibromyalgia in the general population. Arthritis Rheum. 1995; 38: 19-28. Wolfe F, Häuser W, Walitt BT, Katz RS, Rasker JJ, Russell AS, et al. Fibromyalgia Criteria and Severity Scales for Clinical and Epidemiological Studies: A Modification of the ACR Preliminary Diagnostic Criteria for Fibromyalgia. J Rheumatol. 2014; 41: 1737-1745. Abeles AM, Pillinger MH, Solitar BM, Abeles M. Narrative review: the pathophysiology of fibromyalgia. Ann Intern Med. 2007; 146: 726-734. Kosek E, Martinsen S, Gerdle B, Mannerkorpi K, Löfgren M, Bileviciute- Ljungar I, et al. The translocator protein gene is associated with symptom severity and cerebral pain processing in fibromyalgia. Brain Behav Immun. 2016; 58: 218-227. Arnold LM, Hudson JI, Keck PE, Auchenbach MB, Javaras KN, Hess EV. Comorbidity of fibromyalgia and psychiatric disorders. J Clin Psychiatry. 2006; 67: 1219-1225. Moore RA, Straube S, Wiffen PJ, Derry S, McQuay HJ. Pregabalin for acute and chronic pain in adults. Cochrane Database Syst Rev. 2009; 8: CD007076. Goldenberg D, Mayskiy M, Mossey C, Ruthazer R, Schmid C. A randomized, double-blind crossover trial of fluoxetine and amitriptyline in the treatment of fibromyalgia. Arthritis Rheum.1996; 39: 1852-1859.